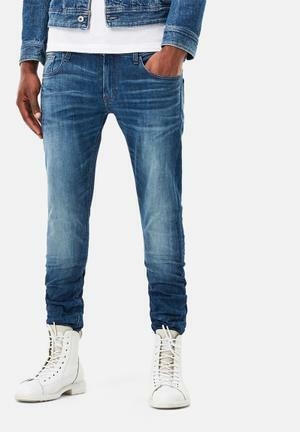 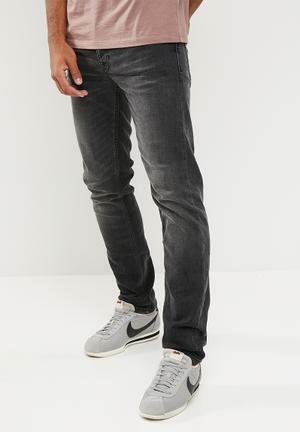 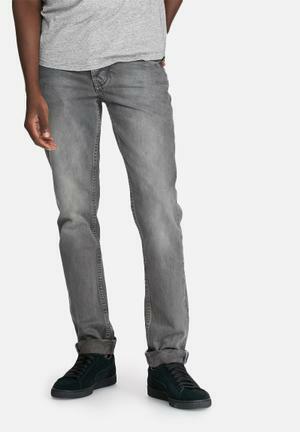 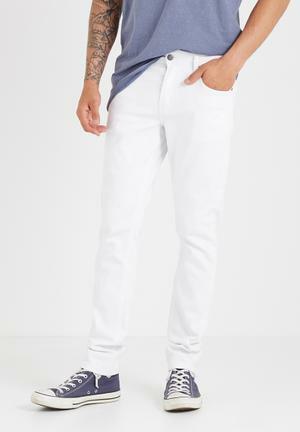 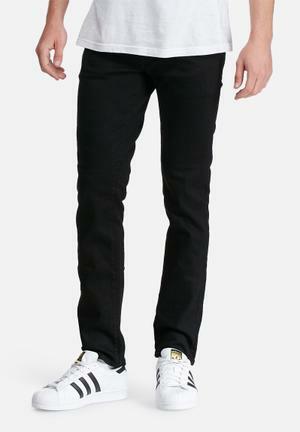 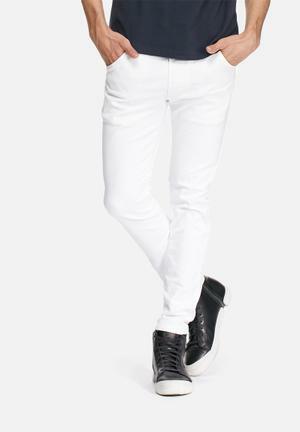 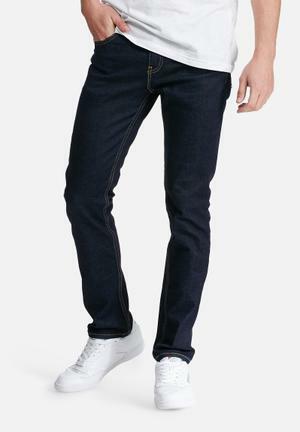 Ubiquitous, yes, but a good pair of jeans is still the starting point for the stylish man's wardrobe. 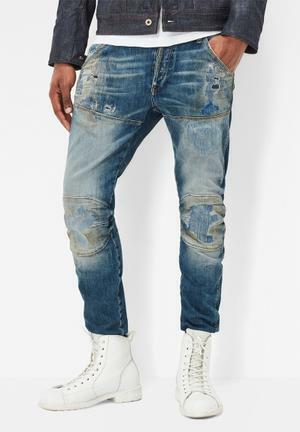 Buy right and you'll wear yours for years, building a variety of looks with them. 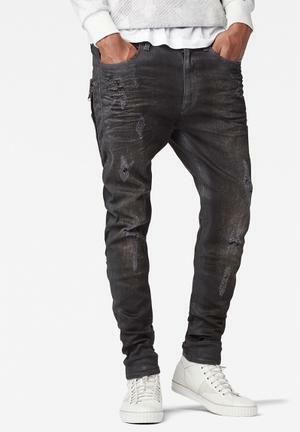 However, with so much choice out there how do you know which pair? 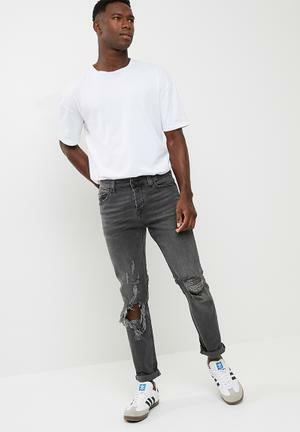 Worry not, because not only have we made the shopping experience easier than going to the mall, we've enlisted three Superbalist staffers to select the season's best fit, brand, wash and detail so that you might make a more informed choice for AW18. 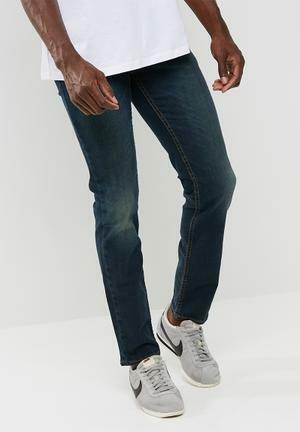 "When it comes to fit it's all about what you're working with. 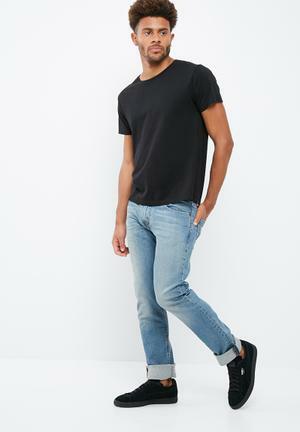 The contemporary hierarchy is as follows – slim, then skinny, then straight, wide or boxier cuts. 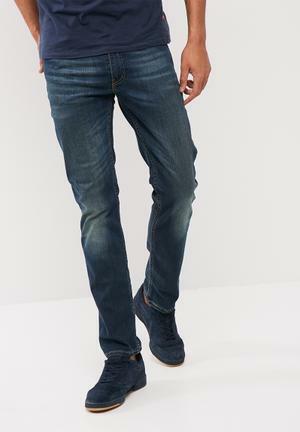 Slim looks the best, offers you an enhanced shape across multiple body types and is comfortable. 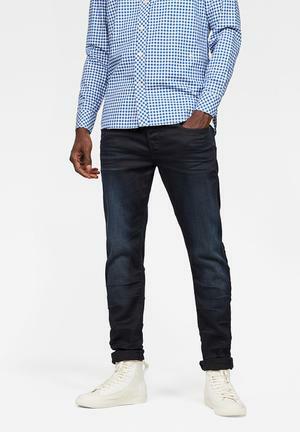 While bigger guys might want to opt for looser or more forgiving styles, the straight cut in the right size will still look good. 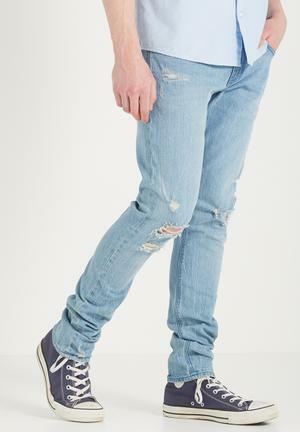 Skinny isn't for everyone but are perfect if you're lankier or have strong legs that aren't overly muscular. 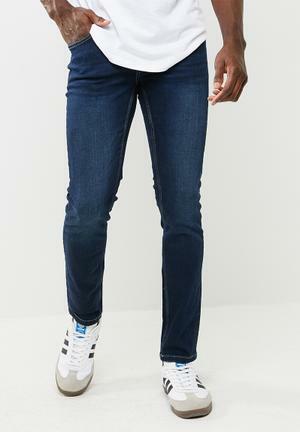 So my advice for men this season is to go slim and they won't go wrong." 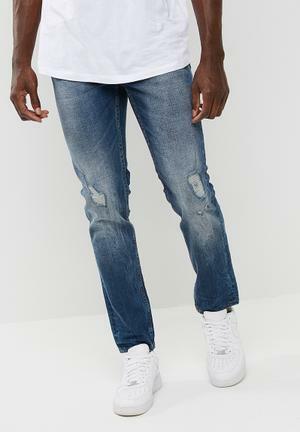 "For AW18 men need to look out for pale and light blue wash jeans, with a bit of rip-and-repair in skinny or regular crop. 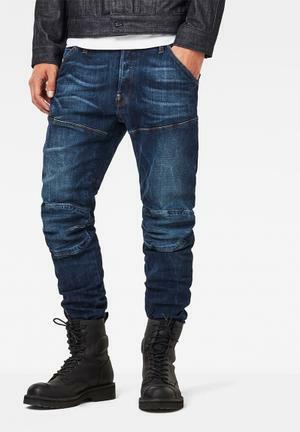 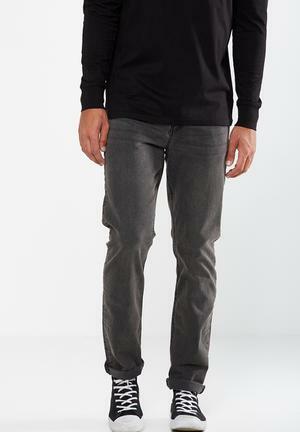 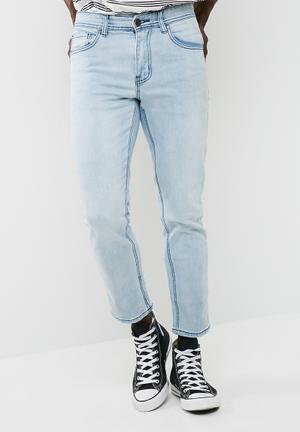 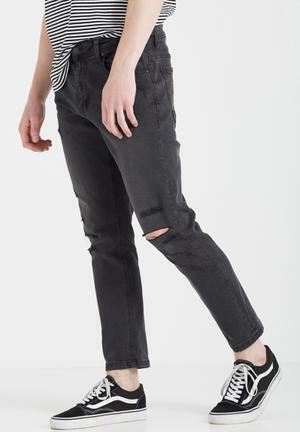 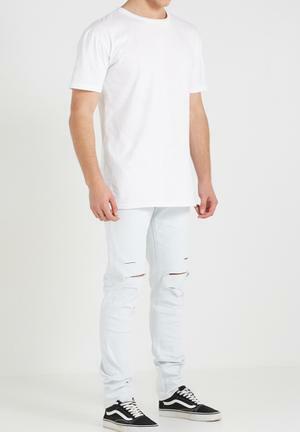 Nylon tape detail along the outer leg seam is gaining momentum and ideal on crop regular fit jeans with a raw hem. 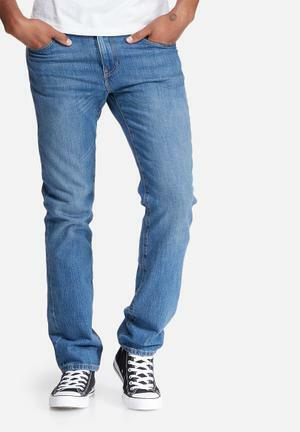 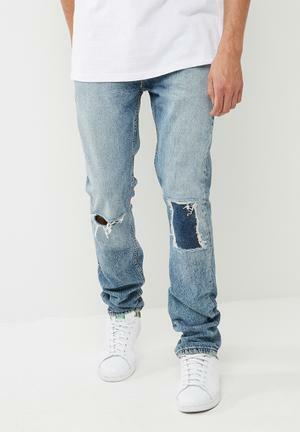 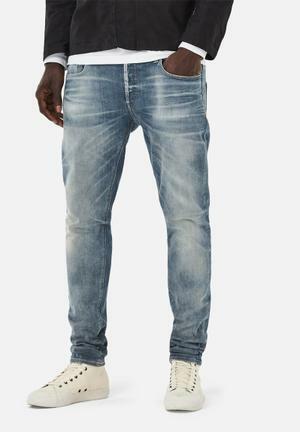 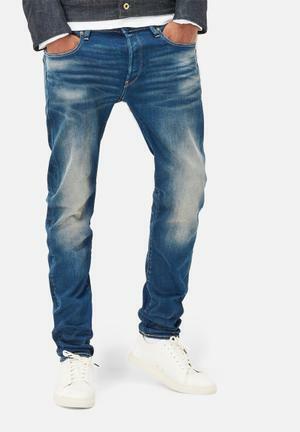 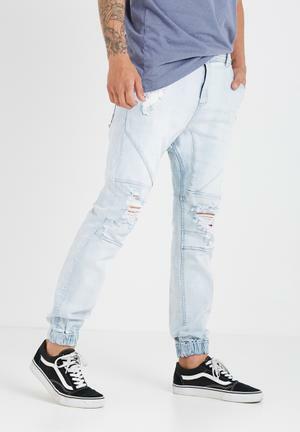 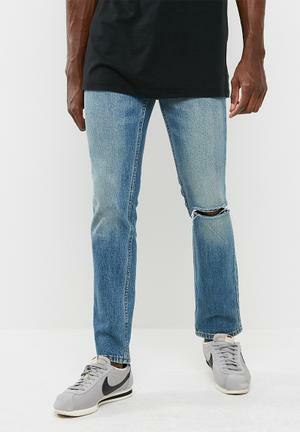 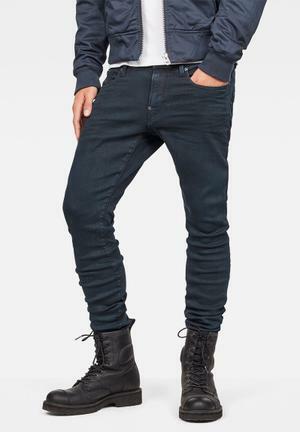 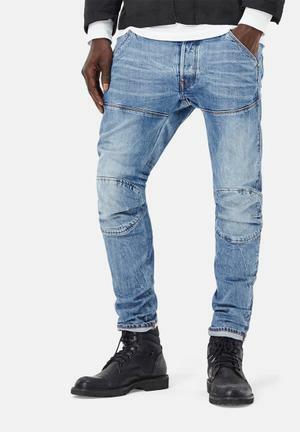 Mid blue acid wash is still trending, with or without the knee slashes, and then black or charcoal skinny jeans are a must, as they can be dressed up or down with ease. 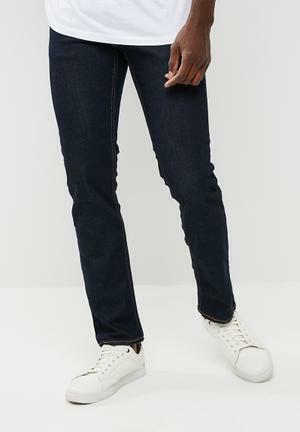 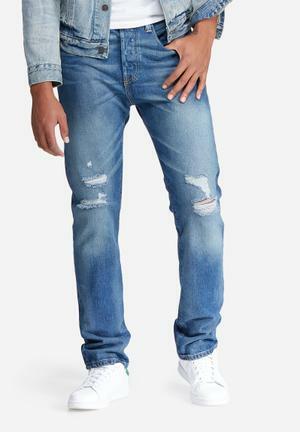 The ultimate jeans for me would be cropped jeans with a raw hem and in a light blue wash."
"I have been a fan of G-star RAW from early on in my career in the fashion business when I first got to learn all about denim. 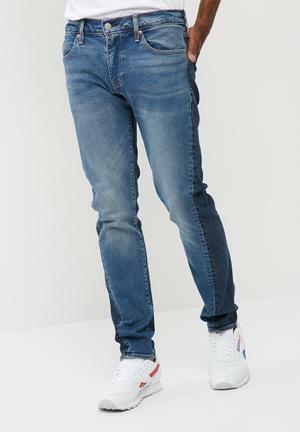 I've bought and tried everything from value jeans to top-end Japanese selvedge denim, but keep coming back to G-Star RAW, which are authentic, well made, comfortable and just get better with age. 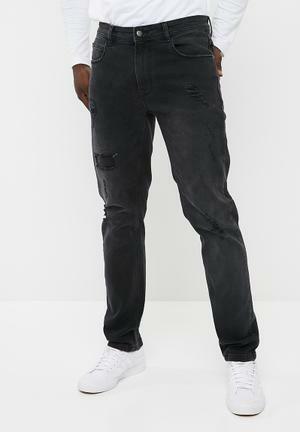 I especially love the trademark deep back pockets and that they have plenty of button-fly options – don't give me zips on my jeans. 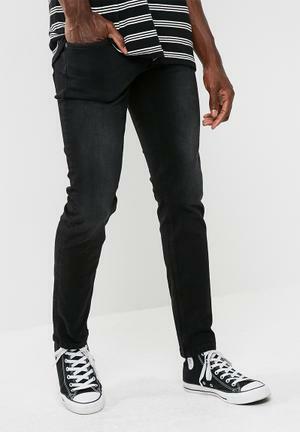 They're also able to suit my moods, where one day I'll dress as a grungy rocker rebel, urban military the next and with the occasional dapper dandy day, too. 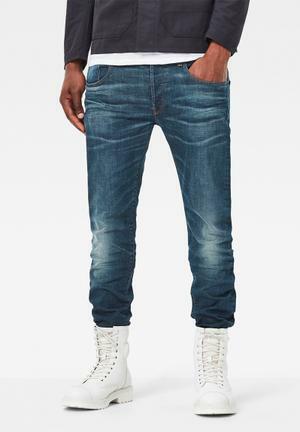 My jeans need to work with all of these moods, and G-Star RAW's versatility allows me to do this."